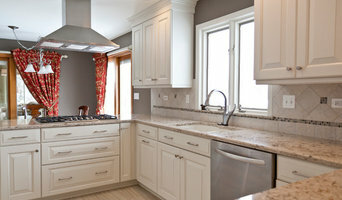 Cabinets City has been the go-to cabinet and countertop solution for homeowners throughout Illinois. 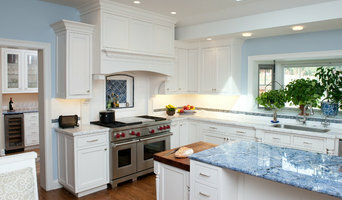 The products we offer come from top brands in the industry, ensuring you get nothing but high-end stones and cabinetry. For decades, our professionals have sold and delivered these products to homeowners, property owners and property managers. We’re all about satisfaction, so you can’t go wrong when you buy from Cabinets City! 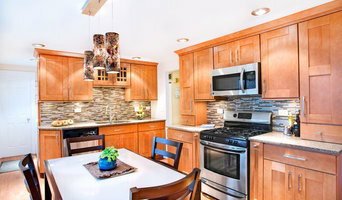 Cabinets City offers a FREE estimate for your remodel or renovation needs at NO Obligation. You only have to contact us or visit our showroom. We will extend every effort to give you what you need within your budget. 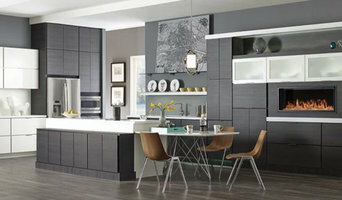 Kitchen and Bath Design/Build with a beautiful showroom in downtown Arlington Heights. What does a Mount Prospect kitchen designer or bathroom designer do? A kitchen and bath design professional in Mount Prospect, IL knows to take all of these crucial points into consideration and can help plan the layout, materials and overall look and feel of either of these rooms in your home. Kitchen designers, as well as bathroom designers, are constantly staying on top of trends in the ever-changing industry. The designer also knows the best layout for your room, and can configure the layout for optimal functionality and utilization of the space. In the kitchen the refrigerator, stove and sink should be laid out in relation to one another, and it should be seamless and easy to move from one to the other. 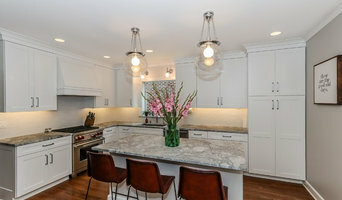 A Mount Prospect kitchen and bath designer will know how to work with a contractor and architect to plan the flow of the room to work best for your needs. Here are some related professionals and vendors to complement the work of kitchen & bath designers: Kitchen & Bath Fixtures, Appliances, Tile, Stone & Countertops, Cabinets & Cabinetry, Woodworkers & Carpenters. Before you talk to bath and kitchen designers in Mount Prospect, IL, consider how you will use the room. For your bathroom, is it necessary to have a bathtub for bathing kids or pets, or would a shower suffice? Perhaps all you need is a half bath for downstairs or a smaller guest bath for occasional use. Similarly, for kitchen renovations consider your cooking habits. Do you eat out every night but need a space to entertain in? If so, a smaller kitchen might be fine for you, with a space devoted to wine storage or a bar, whereas others might prefer a bigger stove or extra cabinets. When interviewing Mount Prospect kitchen and bath designers, make sure to share these habits so they can best fit the room to suit your needs. Find a Mount Prospect kitchen designer or bathroom designer on Houzz. Narrow your search in the Professionals section of the website to Mount Prospect, IL kitchen and bath designers. You can also look through photos in Mount Prospect, IL to find a kitchen or bathroom you like, then contact the professional who designed it.